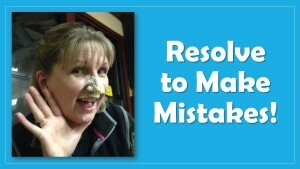 Let’s Resolve to Make Mistakes! | Teacher Geek is Chic! 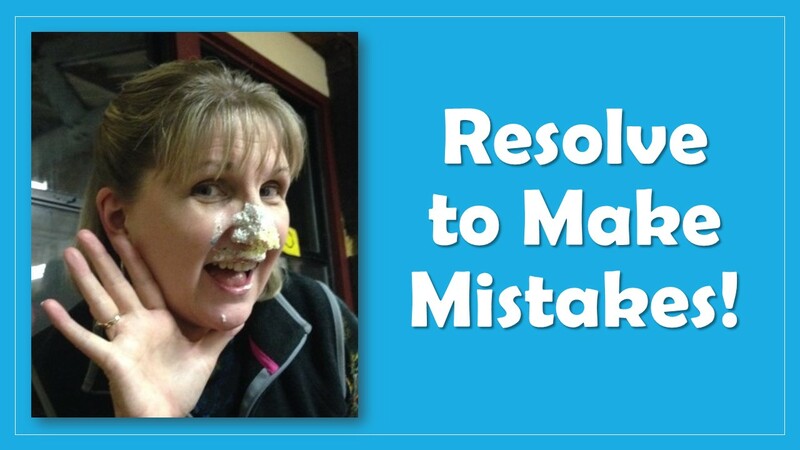 Let’s Resolve to Make Mistakes! Too often our New Year’s Resolutions involve perfection: we want to look better, weigh less, and have whiter teeth (but not whiter hair). We want our students to score higher on those standardized tests, our lesson plans to be efficient and effective from the beginning, and our technology to work exactly the way it’s supposed to each and every time. This New Year, forget perfection. Let’s get messy. Let’s take chances. Let’s make mistakes. If we want our students to practice those vital critical-thinking skills and become problem-solvers, we need to let them practice without worrying about grades or assessments. Our students are terrified of being wrong, but we need to guide them toward the idea that failure is valuable. We need to let them explore, discover and even play on their own. We need to be comfortable with them discussing ideas among themselves. We must allow them to try out their hypotheses without giving our valuable advice beforehand. Our peers are worried their students know more about technology than they do, so many times they are afraid to use ed tech in the classroom. If we want to lead others into becoming comfortable with educational technology, we must invite them into our classroom to see both how it can work and how we handle it when it doesn’t work. We must model the 21st Century teacher’s shift from a center stage position to a backstage position. We need to have honest communication and collaboration with our peers so we can learn from strategies that don’t work. If we want our peers to take a breath when mistakes inevitably happen, we need to remember to do the same ourselves. We have to be comfortable when we make those mistakes. Sir Ken Robinson observes that “If you’re not prepared to be wrong, you’ll never come up with anything original.” If we want to create meaningful, challenging lessons, we need to craft them carefully, try them out, adjust them and try them out again and again. We must embrace the fact that the same lesson plan doesn’t work from year to year – sometimes from day to day. We must use our creativity to invent alternate strategies for our students to reach success. About eight years ago, I was leading a PowerPoint training session for a group of twelve teachers in our first Enhancing Education Through Technology Grant pull-out day. I had prepared what I thought was a great talk about all the amazing things PowerPoint could do. I had been told I needed to discuss all the tabs and drop-down items. But about 20 minutes into the presentation, their eyes were glazing over. It was obvious I was losing their attention. What could I do? That’s when I realized teachable moments also happen for teachers! I jettisoned the rest of my carefully planned presentation, inviting the teachers to finally open PowerPoint on their own laptops. Instead of showing them every single tool in PowerPoint, I focused on just a few that enabled them to create something they could use right away! I then invited them to choose what kind of presentation they wanted to create and get to work. With their hands and minds engaged and intent upon their creation, everyone was focused and excited about the new technology, and I learned a great lesson about the value of making mistakes. When things don’t go the way we expect them to, remember that it’s all right. We should be modeling our positive uncertainty about learning and using technology so that our students and our peers are unafraid of what they might encounter in the future. We have to let others see we are comfortable learning a new piece of software, manipulating digital tools or Bing-ing an answer. 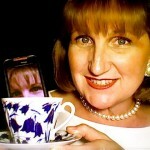 They need to see that sometimes it takes two or three (or even more) attempts to master a new piece of technology. And if we’re a little intimidated at first, they need to see that, too — so they can recognize that we are not afraid to learn. So as you head back to the classroom in this New Year, resolve to allow failure to become a teaching tool in your classroom.